Posted in: Radio Control. Tagged: RC, Upgrades. 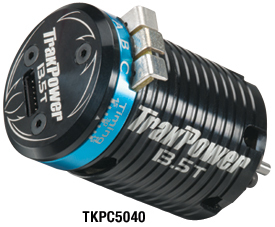 Serious 1/10 scale competitors want the performance that TrakPower MS Series brushless motors and motor systems deliver. And from now through December 31, 2013, buying either one qualifies drivers to receive a merchandise certificate redeemable for products from over 30 great brands. Drivers can get a $20 certificate when they buy a motor, or a $50 certificate when they buy a motor/MS-1 ESC system . And, with 6 systems, there’s a choice for every competitor. Click below for details – and get yours soon at your favorite retailer.